Get only top-notch Baileys liquor that will surely satisfy your needs and wants. Good thing our team has listed the cheap Baileys deals from the most trusted and reliable online retailers. You can get them from Morrisons, Sainsbury’s, Debenhams, and other UK retailers. Spending money on Baileys products that are offered by reputable UK retailers is a great deal. Our massive community of bargain hunters has gathered the best cheap Baileys offers, deals, and voucher codes. Get as much as 20% off per bottle. Enjoy drinking cocktail mixes with your friends. All the best Baileys special offer available online! Bailey’s Irish Cream is kind of Irish whiskey and cream based liqueur that is developed and manufactured by Gilbey’s of Ireland. The alcohol content of the liquor is 17% by volume. The Bailey’s Irish Cream is a division of International Distillers & Vintners. Bailey's brand was granted permission by John Chesterman. Baileys is produced in Northern Ireland particularly in Dublin and Mallusk. The drink is unique because it involves a process of separation of alcohol and cream. The liquor contains a proprietary cocoa extract recipe that gives it a chocolate character and essence. There is an abundance of ingredients including herbs and sugar. The manufacturer of the liquor states that their product does not contain preservatives. The cream is preserved by the liquors alcohol content. The product has a 24 months shelf life to guarantee its quality. It is best consumed no more than two years after it was made. It tastes good even if you store it in a refrigerator or not. The drink should also be stored away from direct sunlight to preserve its quality. You can drink it straight up or you can mix it with other drinks to make your favourite cocktail. If you are having a party and want to have a good time, Baileys is a drink that will make your party an event to remember. You can purchase this one-of-a-kind drink from major UK retailers without bending your wallet. There are plenty of Baileys special offer you can take advantage of on all Baileys Irish Cream flavours such as Baileys Original and Baileys Strawberries & Cream. 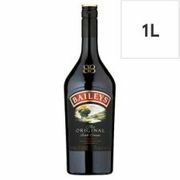 Whatever size you’re looking for whether Baileys 70cl or Baileys 750ml, you’ll find a liquor here at Latest Deals that will meet your needs and budget. There are plenty of Bailey’s products that you can purchase at very reasonable prices. Our community of bargain hunters are always on the lookout to find the best Baileys UK sale, special offers, discounts, and price drops from major UK retailers. We also have a team of money-saving experts who regularly share essential tips and tricks that will be able to help you save on your instore and online shopping. Most online UK retailers have sale events, seasonal clearances, and flash sales where you can get as much as 40% off on a wide array of Baileys products. There are even 3 for 2 offers that can provide you with a lot of savings as well. Watch out for their Black Friday and Boxing Day deals where their prices are reduced even further. If you want to maximise your savings, make sure to use the latest Baileys discount codes we have here. 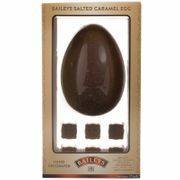 We also have Baileys voucher codes where you can get freebies or free shipping. Have a great time with your family and friends with a bottle of Baileys. Just remember to drink moderately since Baileys contains a substantial amount of alcohol. Bailey Shillelagh. This is mixed with one part Bailey’s Irish Cream together with one part Romana Sambuca that is poured in a shot glass. Baileys and Coffee. Pour 1-1/2 oz. Bailey’s Irish Cream to a cup and mix it with 5 oz. coffee. Baileys Alexander. Mix 1-1/2 oz. of Bailey’s Irish Cream together with 1/2 oz. Cognac. Shave well and serve over ice. Baileys Banana Blaster. Mix together 1 oz. Baileys Irish Cream, 1 oz. Malibu Rum, and 1/2 oz. Banana Liqueur or 1/2 Banana fruit. Blend everything with ice. Baileys Chocolate Covered Cherry. Layer in a shot glass 1/2 oz. Grenadine, 1/2 oz. Kahlúa, and 1/2 oz. Baileys Irish Cream. Baileys Coconut Frappe. – Shake or blend together 2 oz. Baileys Irish Cream, 1 oz. Malibu Rum, and 2 oz. Milk. Garnish it with toasted coconut. Baileys Dublin Double. Mix together one part Baileys Irish Cream and one part Di Saronno Amaretto into a shot glass. Baileys Eggnog. Mix together 1 oz. Baileys Irish Cream, 1/2 oz. Irish Whiskey, 1 Medium Egg, 2 cups Milk, and a dash of Nutmeg. Shake it well then strain. Serve in a glass and sprinkle with nutmeg. Baileys Fizz. Combine 2 oz. Baileys Irish Cream and 3 oz. Club Soda. Pour over crushed ice. Baileys French Dream – Blend everything together. 1-1/2 oz. Baileys Irish Cream, 1/2 oz. Raspberry Liqueur, 2 oz. Half & Half, and 4 oz. Ice Cubes. Baileys Hot Milk Punch. Mix 1 oz. Baileys Irish Cream, 1/4 oz. Cognac, 1-1/2 tsp. Sugar, 3 oz. Hot Milk, and a dash of freshly ground nutmeg. Baileys Iced Cappuccino. Brew 5 oz. Double-Strength Coffee and set aside. Blend together 1/2 cup Ice, 2 oz. Baileys Irish Cream, 1 oz. Half & Half, and 2 Tsp. sugar. Combine everything and blend. Baileys Irish Mudslide. Mix together 1 oz. Baileys Irish Cream, 1 oz. Coffee Liqueur, 1 oz. Vodka, and serve over ice.